A big thank you to everyone who helped out. I was recently one of the judges at the NEFRA working test held at Claughton-on-Brock, Lancashire and felt it worthwhile commenting on the standard and style of work. From the outset let me say that in my opinion the FCR is hugely under-rated as a working gundog. On the day I saw some outstanding work demonstrating great drive and determined hunting ability. But it was clear to me that where dogs were failing during the test it was more to do with the way they were being handled rather than by any shortfall on the dog’s part. Where owners had been tutored into handling their dogs by trainers more used to dealing with the all too often “hot” modern-day Labrador, they were not getting the responses they wanted. I am known for my sympathetic approach to training Labradors and while I saw much thorough and very methodical dog work that was extremely commendable, very often it was interrupted and spoilt by excessive handling. A “less is more” approach would seem to be more successful with this breed. 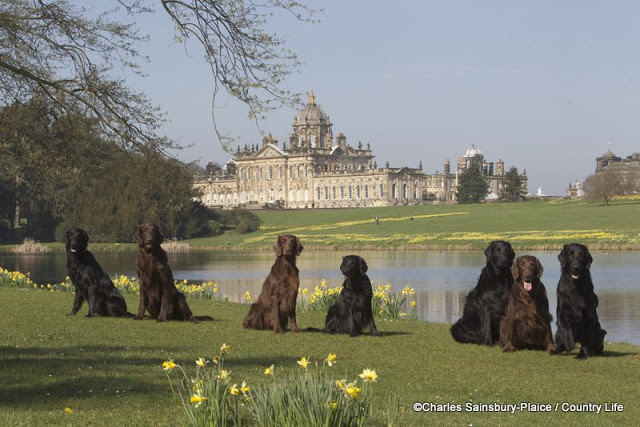 Many modern working Labradors are challenging to train and unfortunately we’re seeing more gundog training classes adopt methods to deal this. But the FCR does not need to be trained as though it was a “hot” Labrador. When things did go awry for dogs at this test it was because handlers were trying to apply methods probably recommended at training classes dominated by truculent Labradors. Yes, the FCR may take longer to mature than a Labrador and I know there can be frustrations encountered during training, but I have to say my lasting impression of the NEFRA test was of a very genuine breed with a willingness to please and wonderful generosity of spirit that was refreshing to see. During the training days we will be holding next year we hope to devote one or two specifically to FCRs. My advice to those novices working FCRs is not to push their dogs too hard too soon and not to allow their handling techniques to become frenetic. This is a great breed that deserves wider recognition in the shooting field.